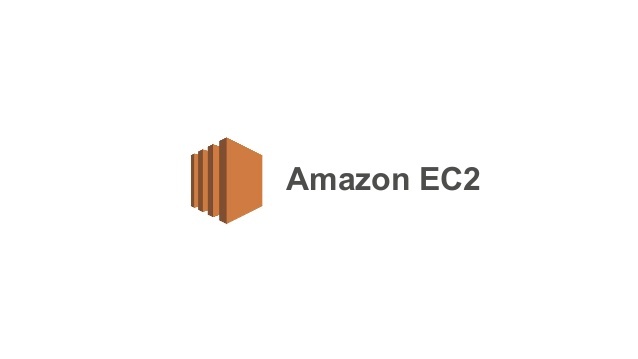 Amazon EC2 offers several types of virtual servers, also known as instances, that helps customers choose the CPU, memory, storage, and networking capacity needed to run their applications. Currently, available Instance types are General Purpose, Compute Optimized, Memory Optimized, Accelerated Computing, Storage Optimized, and Bare Metal. General purpose instances are designed to give users a balance of compute, memory, and networking performance. A1 instances are ideal for workloads supported by the Arm ecosystem. These instances do well for application such as Web Servers, Containerized microservices, caching fleets, distributed data stores and applications that need Arm instruction set. T2 and T3 Instances offer a base level of CPU performance but have the ability to go (burst) higher when required by the work load. Ideal for applications such as websites and web applications, code repositories, development, build, test and staging environments. M5, M5a, and M5d Instances offer a balance of compute, memory and network resources for a wide range of applications such as Web and application servers, small and medium databases, gaming servers, caching fleets and to run backend servers for Microsoft Sharepoint, SAP, cluster computing and enterprise applications. As the name indicates, Compute Optimized instances are great for applications that need a high amount of compute power. Ideal for compute-intensive applications like high-performance web servers, high-performance computing (HPC), scientific modelling, distributed analytics and machine learning inference. Memory-optimized instances offer large memory size for memory intensive applications including in-memory applications, in-memory databases, in-memory analytics solutions, High Performance Computing (HPC), scientific computing, and other memory-intensive applications. R4, R5, and R5a Instances deliver fast performance for workloads that process large data sets in memory. These instances are great for High-performance, relational (MySQL) and NoSQL (MongoDB, Cassandra) databases, Distributed web scale cache stores that provide in-memory caching of key-value type data (Memcached and Redis), In-memory databases using optimized data storage formats and analytics for business intelligence (for example, SAP HANA), Applications performing real-time processing of big unstructured data (financial services, Hadoop/Spark clusters) and High-performance computing (HPC) and Electronic Design Automation (EDA) applications. High memory, “u”, instances have 6 TiB, 9 TiB, and 12 TiB of memory per instance. They are designed to run large in-memory databases, including production installations of SAP HANA. These instances offer bare metal performance with direct access to host hardware. x1 and x1e instances are well suited for in-memory databases such as SAP HANA, Big-data processing engines like Apace Spark or Presto, High performance computing applications and memory intensive enterprise applications. z1d Instances deliver high compute and high memory. These instances are ideal for electronic design automation and relational database workloads. “Accelerated Computing instance family is a family of instances which use hardware accelerators, or co-processors, to perform some functions, such as floating-point number calculation and graphics processing, more efficiently than is possible in software running on CPUs. P3 instances are well suited for deep learning, computational fluid dynamics, computational finance, seismic analysis, molecular modeling, genomics, rendering, and other server-side GPU compute workloads. P2 instances are well suited for deep learning, graph databases, high-performance databases, computational fluid dynamics, computational finance, seismic analysis, molecular modeling, genomics, rendering, and other server-side GPU compute workloads. G3 instances are ideal for applications such as 3D visualizations, graphics-intensive remote workstations, 3D rendering, video encoding, virtual reality, and other server-side graphics workloads requiring massively parallel processing power. D2 instances are ideal for applications such as Massive parallel processing (MPP) data warehouse, MapReduce and Hadoop distributed computing and Log or data processing applications.